Marin County is a beautiful area. It offers trails, views of the ocean, and the 1855 Point Bonita Lighthouse. Why not keep this area gleaming with beauty? When you switch to solar power, you do more than save money. You help the environment. Do you want to install solar panels on your home or business? Give West Coast Solar a call today! West Coast Solar serves Marin county and all its solar needs. We offer custom solar system designs for those looking for solutions. Our certified solar technicians are West Coast Solar team members, which means you’re working with one company from start to finish. When you switch to solar power, you will save money and the environment. Give us a call today! A solar system is a big investment, but it’s worth the return in the long term. Whether you want a smaller system or a larger system, West Coast Solar can help. We offer customer solar designs to fit your energy needs and in-house, certified solar panel installers. Save money, conserve energy, and help the environment when you make the switch to solar power. It’s becoming common to hear that you can save money when you make the switch to solar power, but how much can you actually save? First, if you install solar panels soon enough, you will find the Solar Investment Tax credit (ITC) beneficial. You can claim up to a 30 percent tax credit on your solar system. Second, as you generate your own energy, you can see anywhere from 10-100 percent reduction in your utility bills. 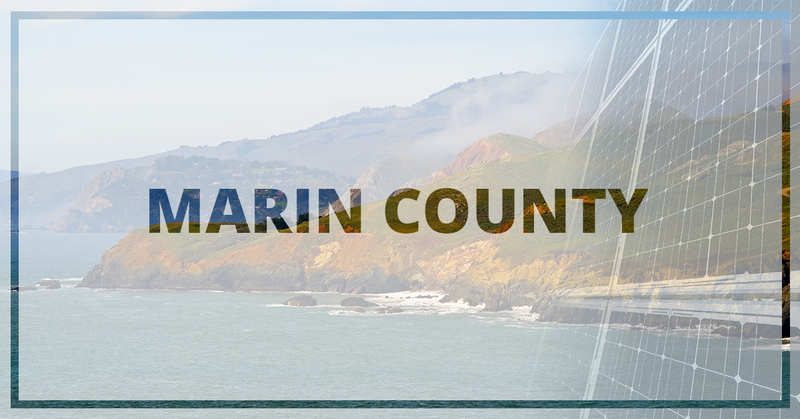 West Coast Solar Serves Marin County! We serve the greater Bay Area with all its solar needs. Our solar company offers solar systems and solutions to homeowners and business owners. If you’re looking for a way to reduce your utility bill, save the environment, and become energy independent, Give us a call today!